Say sayonara to the “Bernanke put” and hello to Shinzo Abe’s alternative. While the Federal Reserve chairman developed a reputation for supporting the price of bonds, the Japanese prime minister’s reforms are designed to push up stock prices. 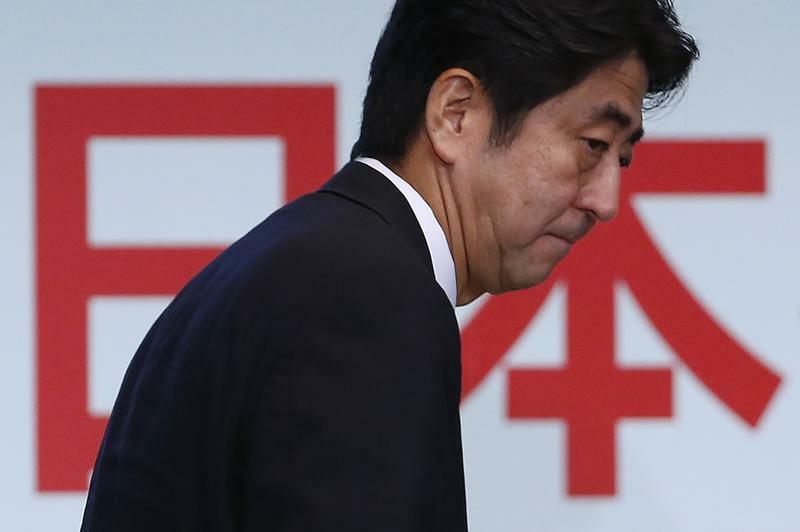 Early enthusiasm for “Abenomics” prompted a hefty rally. Despite treading water in recent months, Japan’s main equity indices are up 55 percent since the prime minister’s electoral victory in December. So far, most of the buying has come from abroad: foreign investors controlled close to 30 percent of the Japanese stock market by value at the end of last year. But there are good reasons to believe that will change. Start with retail investors. At the end of September, Japanese savers were given the opportunity to register for new tax-free investment accounts, which start in January. More than 3 million have already signed up for the scheme, which allows them to invest up to 1 million yen (about $10,000) a year tax-free. The numbers could be large: a survey by Nomura Research Institute suggested that as many as 10 percent of eligible investors – equivalent to 10 million people – would open accounts. Assume that all of them put in the maximum permitted, and allocate 23 percent of it to Japanese equities, in line with the current weighting in retail portfolios. In that case, small investors would inject an extra 11.5 trillion yen into the stock market over the next five years, according to Nomura. That’s equivalent to almost 3 percent of the capitalisation of the entire Japanese stock market at the end of October. The actual amounts may turn out to be smaller. Not all investors will use up their full allocation. And some of the money flowing into tax-free accounts will be siphoned from existing equity investments. Even so, the new accounts look set to rekindle interest in stocks among a population that has grown used to keeping its savings in cash or government bonds. Once again, the shift could be significant. The giant Government Pension Investment Fund of Japan (GPIF), which has assets of 121 trillion yen, currently has just 15 percent of its portfolio in domestic equities. Lifting that to, say, 25 percent would mean another 12 trillion yen flowing into Japanese stocks. Smaller public funds would be likely to follow suit. Sheer weight of money alone won’t support stock prices if corporate earnings don’t continue to improve. Though third-quarter earnings at most Japanese companies rose, recent warnings from Sony and Nissan are a reminder that some of Japan’s high-profile corporate names still face strong headwinds. Enthusiasm for the equity market depends on Abe’s reforms. Any sign that Abenomics is faltering will send investors – both domestic and foreign – scurrying back to the safety of bonds. But if that happens, there is another source of support: the Bank of Japan. The central bank is already buying so many government bonds that any plan to boost its asset purchases would probably mean buying equity funds – or even individual stocks. This is not as unthinkable as it may sound: the BOJ is already pumping an extra 1 trillion yen a year into exchange-traded funds. All the signs suggest that the “Abe put” for Japanese shares will be in place for some time to come. Japan's current Prime Minister Shinzo Abe, pictured prior to his re-election, prepares to cast a vote during the party presidential election at the party headquarters in Tokyo September 26, 2012. Some 3 million Japanese have applied to open the country’s new tax-free investment accounts, Reuters reported on Sept. 30. The accounts, dubbed Nippon Individual Savings Accounts (NISA) allow individuals to invest up to 1 million yen ($10,160) per year into the accounts without incurring tax. Nomura Research Institute in July surveyed 5,000 people, of whom 65 percent said they would transfer funds from bank deposits to the accounts, while 23 percent said they would shift equities held in normal accounts to the tax-free accounts. A panel appointed by Japanese Prime Minister Shinzo Abe has urged public pension funds, which own 184 trillion yen in assets, to diversify their portfolios away from government bonds. Japan Exchange Group, the Tokyo Stock Exchange and Nikkei are planning to launch a new stock index focusing on companies with high return on equity (ROE), the companies announced on Nov. 6. The index, which is due to be launched at the beginning of 2014, will select 400 listed Japanese companies according to three-year average ROE, their three-year cumulative operating profit, and market capitalisation.